All new customer will be required to electronically verify their identity before receiving payment details. It is a very simple process. Below is a step by step guide to help with any questions you might have. It’s a good idea to have your ID photos ready before starting the process to avoid timeout errors. 1 After sending your trade request TYEMAN will give you a link to copy into your browser. On the first screen, you must enter your local bitcoins username and tick the boxes. 2 On the second screen, you will need to enter all of your personal details such as full name, D.O.B, Phone number and email address. It’s important that you enter the address shown on your identification documents. 3 For the third screen, you need to select between either Drivers license, Passport or Immi Card. After making your selection enter the relevant Card/Document number in the box provided. If you select drivers license you will also need to choose which state your license was issued by using the box provided. Now you must upload a selfie (your face+ID) and a trade screen(computer, tablet or smartphone screen showing your trade request+your ID Document) photo using the ID document you selected. Below are some examples. 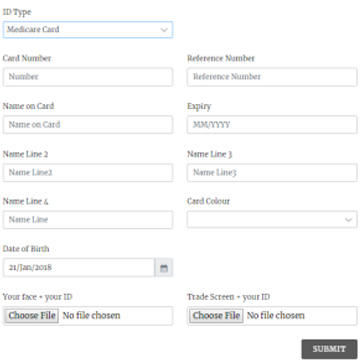 4 Now for the forth screen you need to provide details for your second form of ID, you can choose between Medicare card, Australian citizenship or other E.G. bank card,tenancy agreement,bank statement ECT. 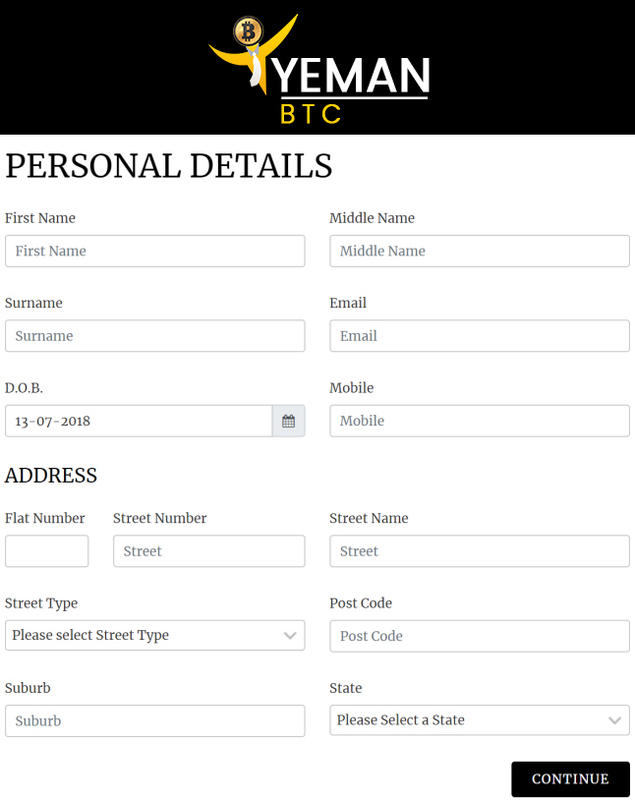 After you have selected Which form of ID you are using fill the details into the required fields and upload a selfie and trade screen photo with this form of ID. Examples can be found below. 5 After completing all the previous steps you will be taken to one of the 2 following screens. If your verification was successful you will see the following screen. If your verification failed you will see the following screen. 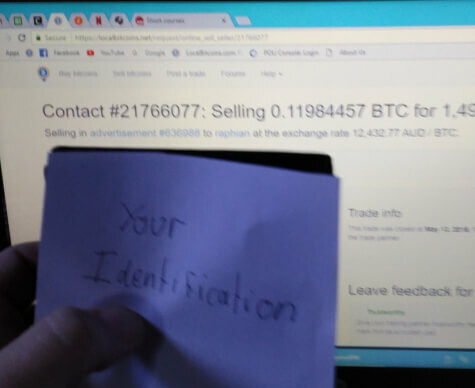 Now head back to the localbitcoins.com trade request and let tyeman know that you have completed the verification and what result you received. 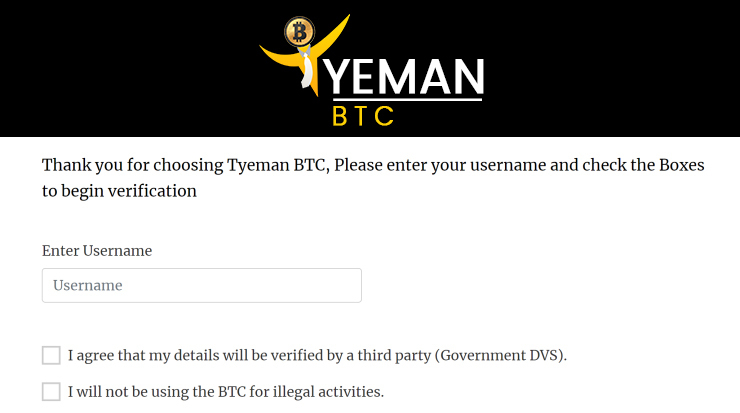 If you passed the verification tyeman will give you the payment details. If you failed the verification tyeman will review your details and see if the trade can continue or not. 1What is AML, CTF and KYC? In short these terms stand for Anti Money Laundering, Counter-Terrorism Financing and Know Your Customer. It is extremely important for any Bitcoin, Cryptocurrency or financial based business to have practices in place to protect not only themselves and their customers but the community and even the world from the potential negatives that can arise from money laundering, terrorism financing and not knowing your customer. 2Why do I need to verify my identification? Tyeman BTC like any other legitimate bitcoins exchange in Australia is required by law to keep up to date and comply with AUSTRAC's AML/KYC and CTF legislation. It is extremely important for any Bitcoin, Cryptocurrency or financial based business to have practices in place to protect not only themselves and their customers but the community and even the world from the potential risks that can arise from money laundering, terrorism financing and not knowing your customer. Austrac stands for Australian Transaction Report and Analysis Centre. Austrac was established in Australia in 1989 to help safeguard Australians both at home and abroad from the effects of money laundering and terrorism funding. To learn more about Austrac you can view their wiki page here. 4Can I complete the ID verification using a mobile device? Yes it is possible but you may run into problems trying to take the trade screen photos. In this situation, Tyeman will advise you to borrow a friend or relatives phone/camera to take a photo of your id next to the screen of your mobile device with the trade showing on the screen. The trade screen photos are compulsory and very important to prevent third-party deposits and scams if you can't manage to get the trade screen photos taken properly let tyeman know and you can resume the trade at a later time when you are able to take the photos correctly. 5 If I have already completed localbitcoins.com verification do I still need to complete the Tyeman BTC verification? Yes, unfortunately, localbitcoins.com does not have all the necessary controls in place to comply with Australian AML/CTF and KYC regulations so you will still be required to complete the Tyeman BTC verification process.